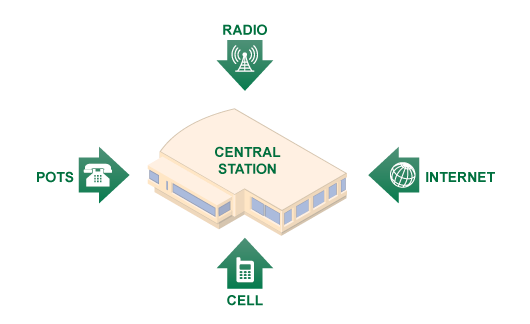 Communications Options - Signal Paths | Digicom, Inc.
For maximum reliability we monitor four independent paths of communication for your alarm systems. Plain old telephone service! Yes there are many people still using this type of service. Today’s most popular path of communication! Since almost everyone has internet in their home or business, this can provide a path of signal transmission without any extra cost. A specialized RF transmission in a “mesh” technology with no need for phone, cell or internet service.